Members of the Islamic Movement in Nigeria, IMN, have declared their leader, Ibraheem El-Zakzaky, and his wife, Zainab, missing. The group said their whereabouts were yet to be ascertained after they were ‘forcefully’ transported to a Kaduna Court. It was reports that the El-Zakzakys were on Tuesday taken from the DSS custody in Abuja to Kaduna and arraigned before a state High Court on charges of culpable homicide and unlawful assembly. 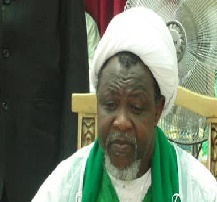 However, members of the sect in Abuja told newsmen that they have not established contact with El-Zakzaky since he was taken to Kaduna and supposedly brought back to the FCT. At the sidelines of an #FreeZakzaky protest staged on Wednesday evening, along Nyanya/Mararaba axis near the Abuja-Nasarawa border, the Secretary of IMN’s Academic Forum, Mallam Abdullahi Musa, said, “To be frank, recent developments by the Nigerian government under the leadership of President Buhari makes many conscious Nigerians and human right activists globally to wonder if Sheikh Zakzaky is wanted dead. “Since, our leader was taken to Kaduna and reportedly brought back to Abuja, we have not been able to establish contact with him. All his phone numbers have remained switched-off.